In the late 1800’s Charles Suderman and Ben Dolson began stevedoring operations in Galveston. With the purchase of the first steam tugboat LOUISE, Suderman and Dolson began to shift cargo handling deck barges. As the need for tugboat towing services grew, the LOUISE soon began assisting ships in Galveston harbor. In 1916, John Young purchased Dolson’s portion of the company, adding six tug boats to the fleet including the first “modern” diesel tug vessel to operate on the Texas Gulf Coast. In 2001, S&Y merged and combined tugboat fleets with Intracoastal Towing and Transportation Company. Over the years S&Y has continuously expanded and upgraded its tugboat service fleet to accommodate modern shipping requirements. 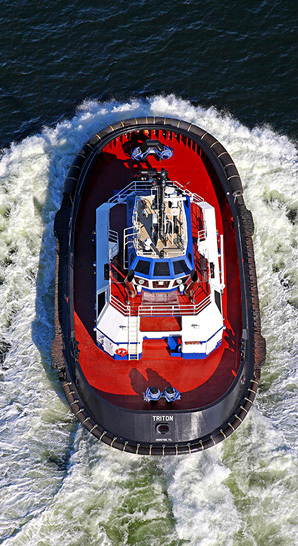 With addition of the Z-Tech Tugs, S&Y will bring the newest and most innovative tugboats in the western hemisphere to the central Texas Gulf Coast. Today with access to more than 30 tugs strategically located in the ports of Houston, Texas City, Galveston, Freeport and Corpus Christi, S&Y is well-positioned to provide the right equipment for the right job.